Updated: on July 29th Gurski quit Mail.ru Group. The most successful IT entrepreneur in Eastern Europe Yuri Gurski (with 4 exits!) and Ukrainian gamedev-businessman Maxim Slobodyanyuk launched a joint project Varaig. In fact, as Yuri commented to GoalEurope, it’s a tech competition with the aim to find strong startups which work on products based on not-easy-to-replicate technologies. They are also interested in attracting top-notch developers, geeks and hackers even without product ideas. The plan is to attract talented engineers from Ukraine, Belarus and other CIS countries. At Varaig, under the mentorship and with investment from Gurski and Slobodyanyuk, the teams will create revolutionary products to further sell them to American unicorns like Facebook and Google. Photo from Yuri’s Facebook profile. gamification (new gaming platforms and concepts of next generation games). Yuri Gurski is from Belarus, and he is the only CIS investor with four exits. He is co-founder and ex-CEO of Viaden Media – an international mobile and social gaming software development company – and its offspring Sport.com, a mobile fitness app that currently has more that 50 mln users worldwide. 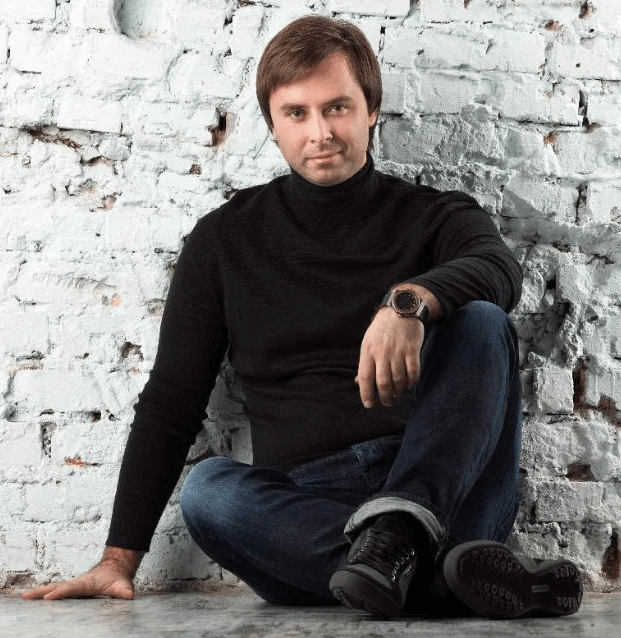 Yuri was the mentor of Belarusian map service MAPS.ME, acquired by Mail.Ru Group in November 2014, moved to Moscow and became VP New Product Development at Mail.ru.Group. He also mentored and invested in Belarusian live video filters startup MSQRD, bought by Facebook in March 2016. Currently, Yuri Gurski is mentoring art filter app Prisma that rocks charts around the world. Update: On July 29th we found out that Yuri quit his job at Mail.ru. Several Russian-speaking publications speculate that he was fired due to the conflict of interest. Gurski claims that it was his decision as he wanted to move back to Minsk where his family is. Photo from Maxim’s Facebook account. Ukrainian entrepreneur Maxim Slobodyanyuk started his business career at 17. While studying at university, Maxim took part in numerous IT-olympiads where he presented his inventions. And one of them – the system of electronic digital signature – was awarded with a medal by WIPO (World Intellectual Property Organization) when he was 14. All in all, Maxim, under 30 years old, has 10 patented inventions. 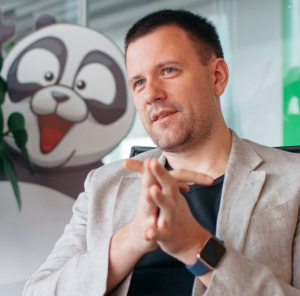 Maxim is quite known in the gamedev world as the founder of iLogos and Nika Entertainment – two biggest Ukrainian game development companies with a focus on mobile and social games. Although Nika Entertainment showed negative results on profit and 90% of the staff was dismissed this March, iLogos is still booming. It is an international gamedev outsourcing company with development offices all over Ukraine. iLogos participated in the creation of more than 400 games. The total number of users of company’s projects exceeds 200 mln people all over the world.